"Shop for You" is an option offered to both customers abroad or customers that are in Spain, but do not have time to go shopping. 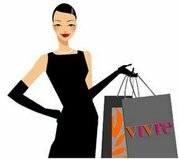 This service will help you with your shopping in Spain and we will make your purchases for you. Just request any product, brand, whatever you need from Spain, and we will find it for you at the best price. In a few hours, we will confirm you its availability and price, and if you agree, we will then purchase your goods and forward your products wherever you need them. We also buy and deliver gifts to your family or friends that lives in Madrid area. If you need this service please contact us and tell us what you need.